We are so proud to have been recognized by The Chamber of Commerce of Kennebunk, Kennebunkport and Arundel at their annual meeting this past Thursday. According to Chamber board member Michelle Moore Allen, "The President's Award recognizes individual or group effort which, through professional or civic deeds, has made a significant contribution to the high quality of life we enjoy in our communities, or the enhancement of community or regional assets. This award recognizes accomplishment achieved through non-profit organizations, public sector activities, or business efforts." Our team couldn't be more proud to be part of the community that has supported us so much! Developing this year's cocktail list, the bar team at Old Vines turned to three categories of spirits that remain unfamiliar and misunderstood to the cocktail-consuming world: amaro, vermouth, and quinquina. This month, we will take a look at each, to help break down the mystery of these deliciously nuanced spirits. Amaro is a bittersweet, herbal liqueur that derives its name from the Italian word for "bitter." Amaro is made by infusing a neutral, distilled spirit with a mixture of herbs, roots, barks, spices, fruit peels, and botanicals. Amari can be composed of more common ingredients, such as cardamom, chamomile, cinnamon, citrus peel, fennel, ginger, and licorice, or they can contain less known ingredients like artichoke, bay laurel, cinchona, gentian root, saffron, quasi wood, and wormwood. Not all Amari are exclusively bitter. Some can be rather sweet upfront, with a pleasant underlying bitterness, while some can be so bitter as to taste almost medicinal -- and although that may sound disagreeable, it would fit with Amari's history. Created in monasteries and abbeys throughout ancient Italy, Amari was believed to have restorative properties, and was thought to even have protection against evil or plagues. Considering their range of ingredients, this thinking doesn't seem too outlandish (at least, the medicinal part). Amari is typically served as a digestivo, an after dinner drink. With its low alcohol content, a small amount is believed to have medicinal benefits in aiding digestion after a large meal. While there may not be any exact science to back that up, it's worth taking a shot. Montenegro Amaro: The most palatable of the Amaro we stock, Montenegro is characterized by the sweetness of tangerine, held up by coriander, vanilla, and cinnamon. While sweet at first, the lingering finish is balanced by bitterness and botanicals. Montenegro is definitely a staff favorite. Cardamaro Amaro: The only wine-based Amaro available in the States, Cardamaro, despite it's name, is not a cardamom-flavored Amaro. Instead, it gets it's Moscato-based flavor comes from the cardoon, a relative of the artichoke, and blessed thistle. It is light, herbaceous, and comparable to some styles of sweet vermouth. As such, here at Old Vines, we often swap sweet vermouth for Cardamaro (see the New Vingroni). Averna Amaro: the original recipe for Averna can be traced back centuries to the Benedictine Friars of ancient Sicily, where it was used as an herbal tonic. Averna has an outstanding spicy citrues characteristic, with a prominent menthol aroma. It's a well-balanced Amaro, with a caramel sweetness, a menthol freshness, and a lingering bitterness. Cynar: Produced by the Campari group, Cynar ("chee-nar") is a mix of thirteen different plants and herbs, the most unique of which being the Artichoke. Noticeably darker in hue, Cynar has a resolute, aggressive bitterness that makes it a more appropriate substitute for Campari in certain cocktails. Fernet Branca: Named after the "fernet" style of amaro, Fernet Branca is sharply bitter, syrupy in texture, and not for the faint of heart. Fernet Branca boasts more than 40 different herbs and spices, among the known are aloe, gentian root, rhubarb, gum myyrg, red cinchona bark, and saffron. The closely-guarded recipe hasn't changed since it was created in Milan in 1845. Amari are an incredible group of spirits, and though their far-ranging tastes make it hard to believe they are all related, they all share a common backbone: bitterness. And while "bitter" is not the flavor profile most people seek in their drinks, the world of Amaro begs to be explored. You might find you'll be pleasantly surprised. 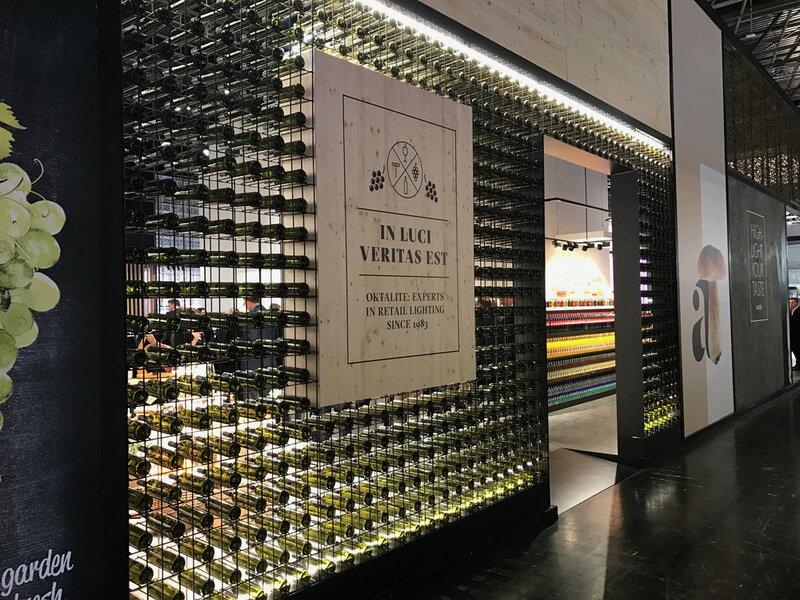 Old Vines owners Rick and Jon have just returned from their trip to Germany, where they attended the 2017 Euroshop. 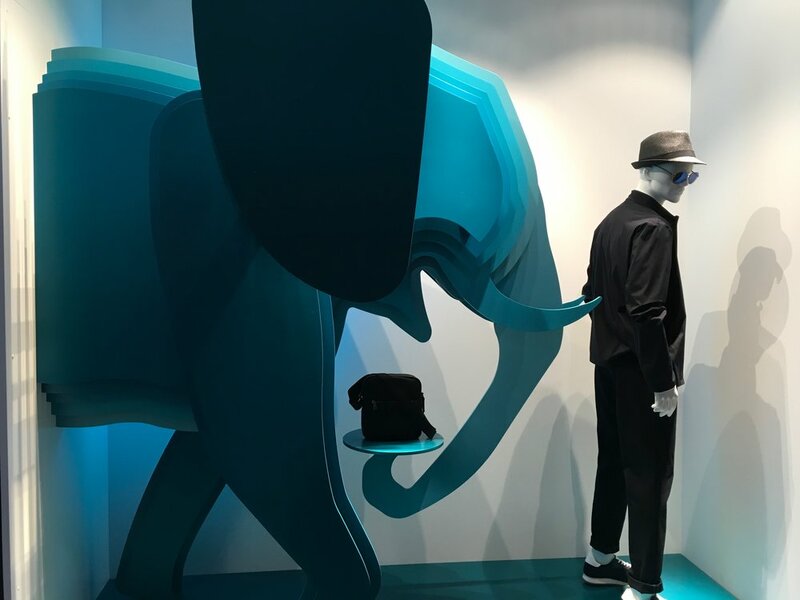 Held in Düsseldorf, an international business and financial hub, Euroshop is a trade fair for the retail industry that has been running for the past fifty-one years. 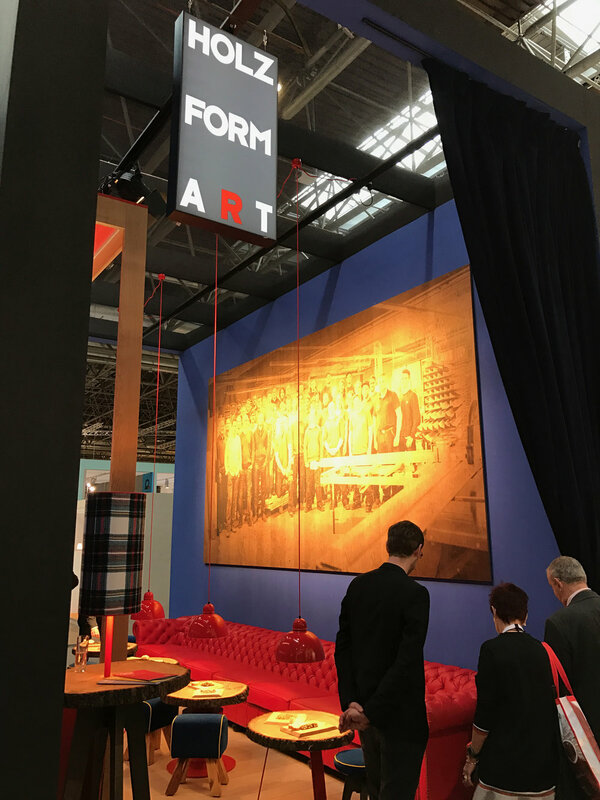 A mixture of design and vendor showcases, the fair holds sixteen halls of innovation in interior and architectural design, including lighting, display technology, point-of-purchase technology, and furniture and restaurant equipment. 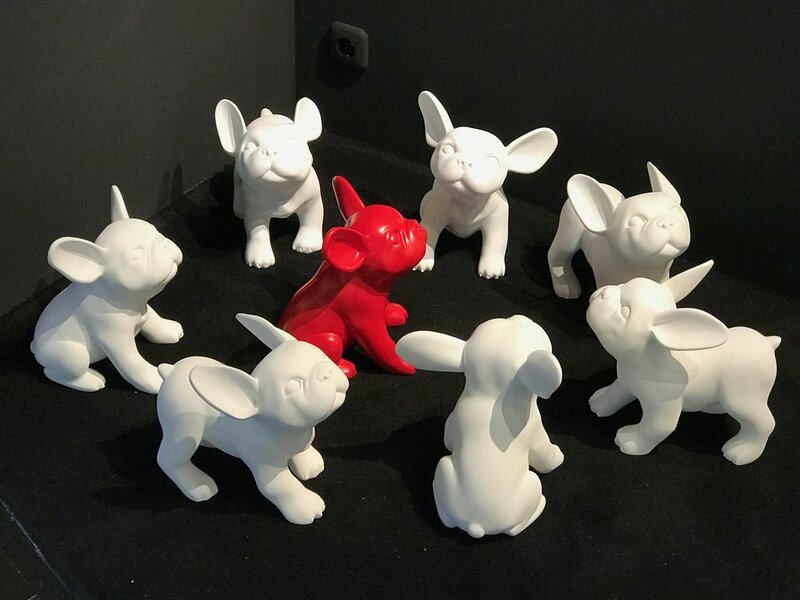 Euroshop is an opportunity for industry leaders around the world to show their imagination and vision for the future of retail, while showcasing products that are available today. How does this relate to Old Vines? 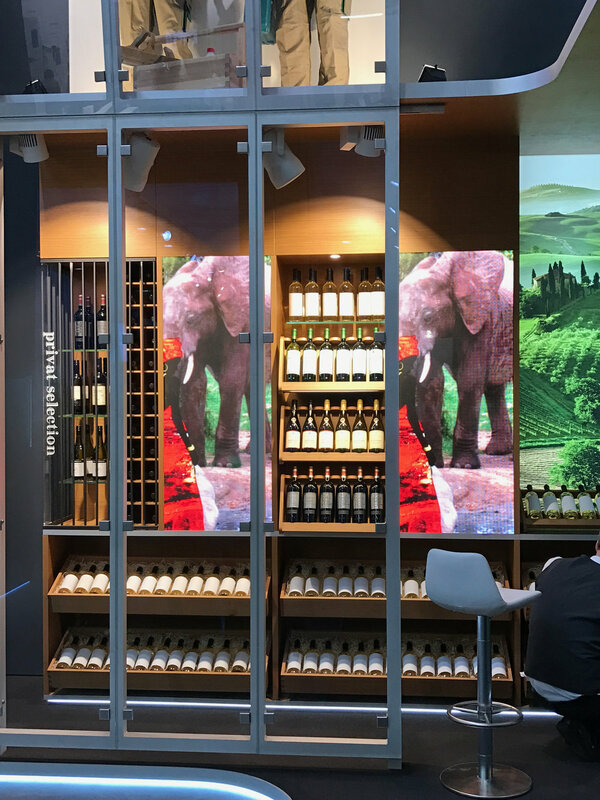 A recurring theme of Euroshop is enabling retailers and restaurants to connect emotionally and digitally with their customers in order to create the best possible experience. 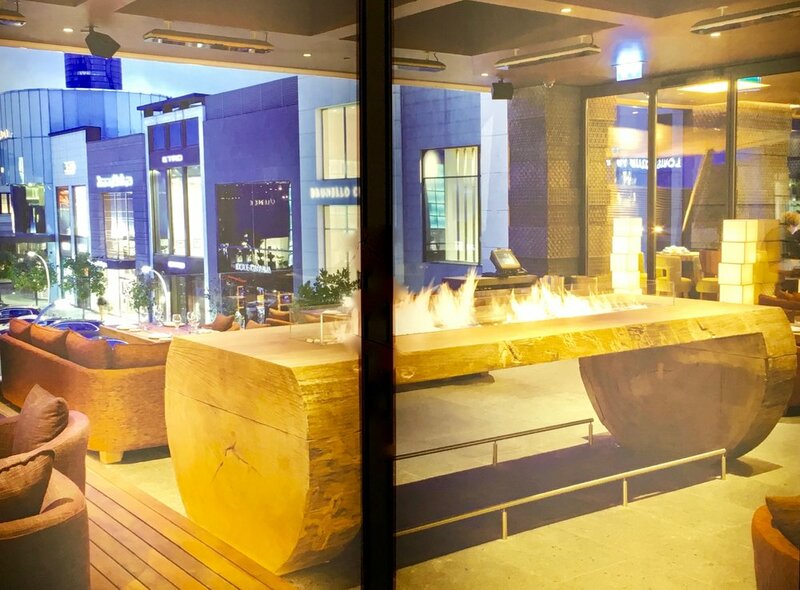 "Kind of like theater," says Jon Ellms, because both the trade fair and Old Vines aim to create a guest experience that is unique, exciting, and sophisticated. 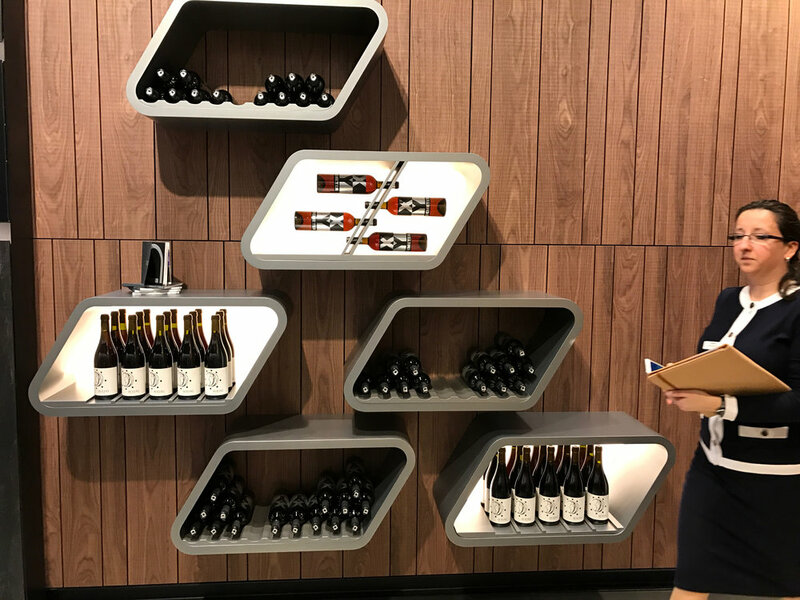 "Euroshop is about improving the customer experience, which is a particular challenge for large businesses like hotels and restaurant chains," says Ellms. "Being a small restaurant, that isn't exactly our challenge -- however, it's still a great spot to get inspired and bring back a few great ideas to make Old Vines even better for our customers." Euroshop is, simply put, design and innovation for the sake of design and innovation; reason to be inspired and creative back here in our own sphere. It is a reminder that there are amazing, creative minds all over the globe; it is our inspiration to keep evolving. A big thank you to Faith Gillman and the team at the Village for featuring Old Vines and our talented team. We are proud to be a part of the community! Our own Sam Cote has passed the Court of Master Sommeliers Introductory Course Examination! The Court of Master Sommelier, Americas Introductory Course & Examination is the first of four required steps to become a Master Sommelier. 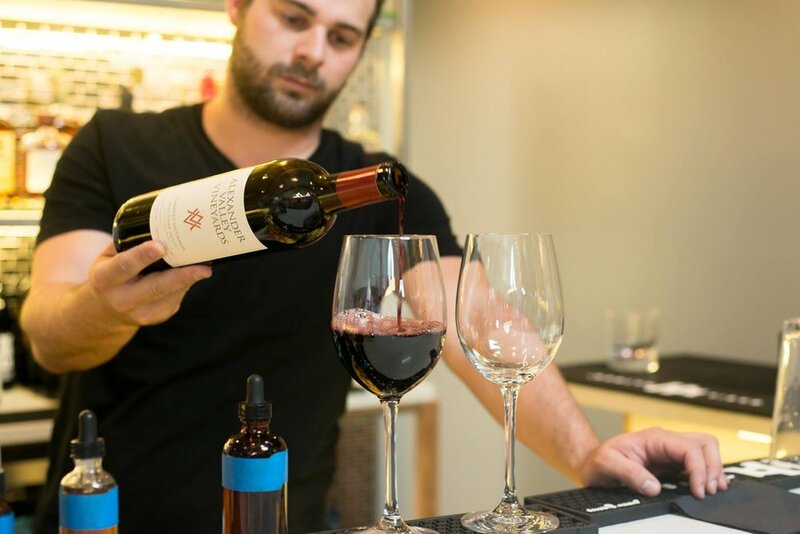 The intent of the introductory course is to provide wine and hospitality professionals with a thorough review of the world of wines and spirits at the highest professional standards. Candidates receive an intensive review by a team of Master Sommeliers on wine and spirits knowledge, proper wine service, and deductive tasting. The Court of Master Sommeliers was established in 1977 to promote excellence in hotel and restaurant beverage service. Though its members worldwide come from diverse backgrounds and experiences, they share a proven mastery of the art, science, and history that informs a sommelier's work. Read more here. Sam and his colleagues work hard to create a great experience for our guests, and we couldn't be more proud of what they do! Our friends at Orbits offer some advice on how to escape the crowds in prime vacation destinations. We're proud to have made the list! We are thrilled to welcome Joel Souza to the Old Vines family! Born in Portsmouth, NH and now a resident of Kennebunk, Joel graduated from New England Culinary Institute and gained experience at several New England restaurants. 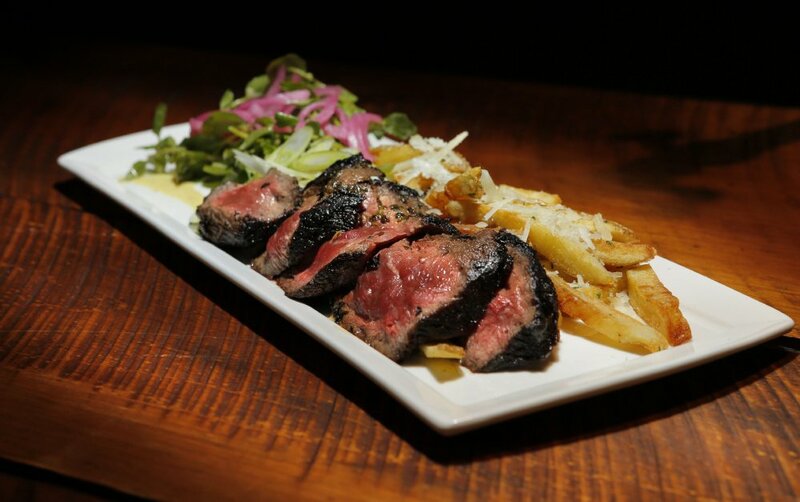 In 2011, he was appointed the youngest ever sous chef at the stalwart Colonial Inn in Concord, MA. Joel is a passionate teacher and mentor. As beverage director at David’s KPT and sister facility, Table, Joel oversaw all beverage operations and hosted many mixology classes and special events. As we prepare to open for the season on 2/10, Joel will take lead in our newly expanded kitchen where he and his team continue many of the exciting changes we began last year. You’ll see his enthusiasm and creativity expressed in new menu items and specials.